We all love to host our friends and family for holiday dinners once in a while, as it’s always a moment to bond and have fun. A lot of things go into preparing for the dinner to ensure it is a successful occasion. You would not want anything to go wrong at any point. These five tips will help you to prepare well. For any occasion to be a success, then you need to plan way in advance. Start by knowing who will be attending the dinner on that day. Establish a budget beforehand and buy the necessary items. It will be inconveniencing for you to interrupt dinner in order to rush to the stores to pick up missing items. Make sure you have everything you need at your disposal. An early preparation gets you in the mood of the occasion. You will not want to have a nice dinner in a home that is so untidy. It will spoil the fun. Ensure that before the dinner, you have cleaned up the place pretty nicely. This will be good if it is done a day before. If you are hosting a few friends, ensure to sort out the laundry in advance. If you happen to have less time to prepare, you can clean up the essential areas like the bathroom, entryways, living room and kitchen. If your guests will spend the night, ensure to also tidy up the bedrooms early enough. Take all the trash outside and don’t forget to make the house smell nice using fragrances. 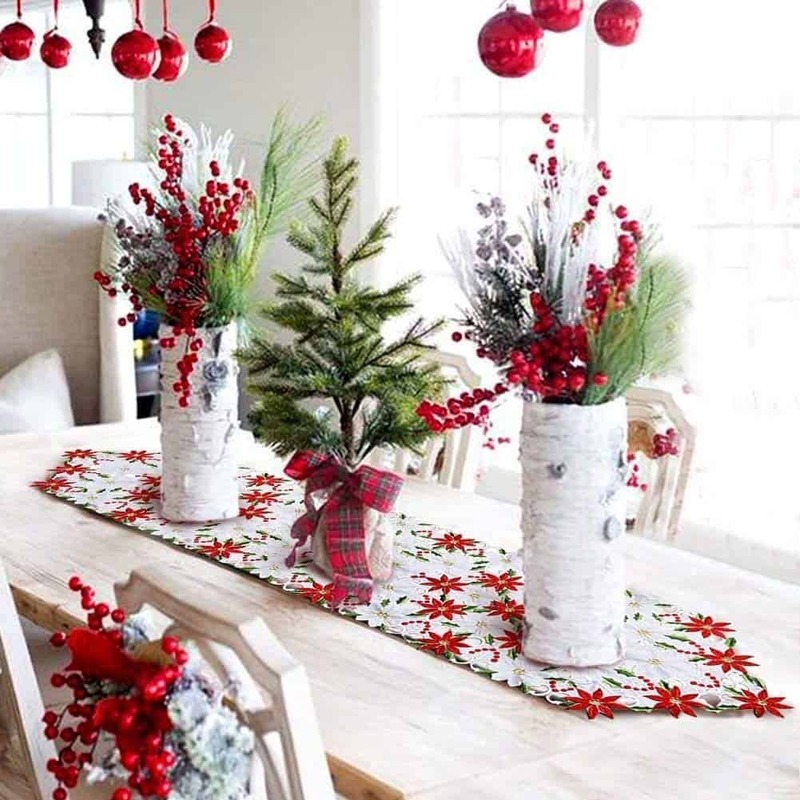 Decorating your home by giving it a holiday-themed environment is very essential. It helps create the much need ambiance and mood. First, you can put up wreaths, lights and place the furniture in proper positions just to create a nice and warm feel. Afterward, you can focus on the dining table. Secondly, ensure that it’s big enough to accommodate all participants. No one will want to eat dinner while being squeezed up. Lastly, you can incorporate some nice candles, and ornaments. Also, you can spice things up by using nicely designed tablecloths. Simplytablecloths.co.uk has some of the best tablecloths you can get a hold of. Over the holidays, people will indulge in more foods as there is always plenty to eat. This also means that there is always plenty to cook. The important thing is to come up with a holiday menu that everyone will enjoy. If you are not sure, then you can research a few online recipes and try them out. Additionally, take into consideration the food allergies your family or guests might be having. Lastly, cook plenty of food so that guys will eat to their brim and not go away with empty stomachs. Normally your invited guests will start arriving early, so to keep them up and enjoying you can have a nice chill time. Have everyone engage in playing a few games i.e. board games or catch up with stories as the dinner is getting ready. This will help give your home that enjoyable, warm and fun holiday feeling.